This slightly tweaked remake of last year's hit embodies the best (and just a tiny bit of the worst) of zombie tales and action games. Back when I was very young, before I had even begun school, my mother would take me and my siblings along when she went grocery shopping. I don't remember much from those long-ago shopping excursions, but labels of the canned food we bought are forever etched in my mind. Money was a little tight for our family at the time, so she'd usually pass over the name brand products in favor of the store-brand vegetables bearing stark generic labels. There was no artistry to the labels, no attempt to make the products within look like anything besides the least expensive possible alternatives to normal fare. Bold black lettering announced the type of product within against a field of plain white. Those tins of low-cost vegetables were my first experience with the word "generic," and they forever shaped my perception of the word: Cheap. Bland. A knock-off. Lacking personality. Strangely, the word "generic" kept passing through my mind as I played The Last of Us Remastered, even though "cheap," "bland," and "lacking personality" are about the last words I would use to describe this PlayStation 4 revamp of Naughty Dog's survival horror masterpiece. No, the word tumbled through my head because The Last of Us embodies the concept of genre more effectively than any other video game I've ever played. Nothing about the game is in any way new or surprising, but it's all executed to near perfection... and even the shortcomings are what you'd expect from a contemporary action game about zombies. It is, in short, generic: That is, exemplifying a genre. With The Last of Us, Naughty Dog took the tired zombie genre and the well-worn action game template they refined with Uncharted and combined them into something that surpasses either. Yes, you're foraging through an urban hellscape lousy with the infected undead and heartless marauders, just like any number of other works of zombie fiction. And yes, in contemporary video game fashion, that hellscape consists almost entirely of carefully arranged linear passages that occasionally open out into more expansive spaces littered with convenient, waist-high structures for you to sneak around behind or use for cover shooting. And yes, you take the role of a grizzled middle-aged man accompanied by a young female companion exactingly crafted to tug the player's paternal heartstrings. The Last of Us colors neatly within the lines drawn by its many, many forebears. 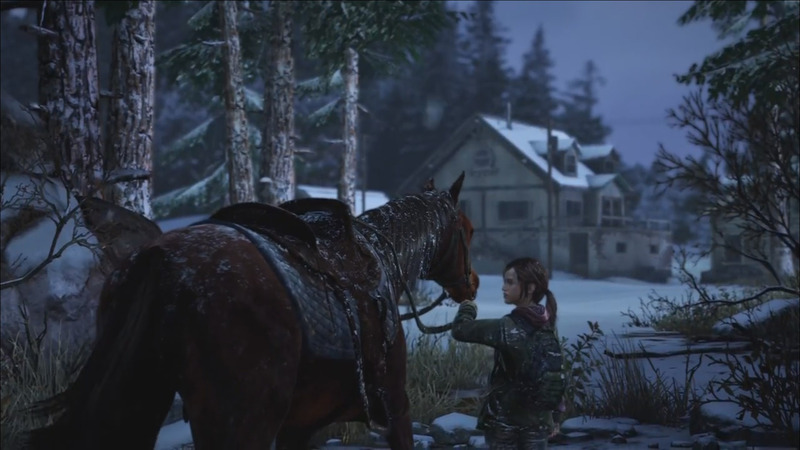 In particular, the surrogate father-daughter dynamic between protagonist Joel and his young ward had already become a video game cliché before The Last of Us ever saw the light of day. However, Ellie is a far cry from BioShock Infinite's Elizabeth, even if they do share a name in common. She feels more genuine; like a person, rather than an ideal: A convincing combination of post-apocalyptic teenage cynicism and wide-eyed childish wonder. Temperamental, emotional, but never cloying. Her combat interactions are more authentic as well, as she unpredictably lashes out at foes when Joel becomes overwhelmed. She frequently pairs her knife slashes with terse obscenities that come across as equal parts rage and terrified bravado. The script works best when it leaves things unstated — a rarity in video games. Author Neil Druckmann largely avoids the medium's compulsion to spell every last detail out for players, and what the characters don't say tells you as much about them as what they do say. Joel in particular is defined by his taciturn nature, yet it comes off not as aloofness but rather as the practiced caution of a weary survivor who gets by through giving away as little as possible. Plenty of video games have tried to cast players in the role of an emotionally guarded tough guy who slowly lowers his defenses as he learns to trust his companion, but The Last of Us might be the first to actually have pulled it off. Though The Last of Us tells a better story than its action game peers, the actual game portions don't quite live up to the same standard of excellence as its narrative. In large part, the seams in the action show so clearly precisely because the narrative works so well. The humanity of the characters becomes a charade the instant a cut scene ends and your A.I. companions start flopping around one another like clumsy marionettes, blocking your path or knocking you off of delicate platforms as you try painstakingly to sneak past clusters of undead. It's little details like this that bedevil the game — factors like the awkward menu system makes it nearly impossible to swap equipment in the heat of battle. It's more realistic, perhaps, but chasing authenticity at the expense of accessibility seems pointless when your protagonist has Daredevil-like radar hearing and the ability to tote a platoon's worth of weapons in his backpack. This isn't to say the action of The Last of Us is poor or lacking, not by any stretch of the imagination — it's perhaps the most solid blockbuster game, mechanically speaking, of the previous generation. But that's the problem with this remake; underneath its new coat of polish, it feels very much like a last-gen creation. Its flaws — the cumbersome interface, the idiotic enemy AI, Joel's blundering companions, the uneasy way in which the gracefully choreographed cutscenes give way to the halting awkwardness of the interactive sections — are precisely what you've come to expect of a game that try so hard to be filmic in nature. Elements of its may be polished to a mirror sheen, but it still relies on the inelegant trappings of the medium. But then, what game doesn't? 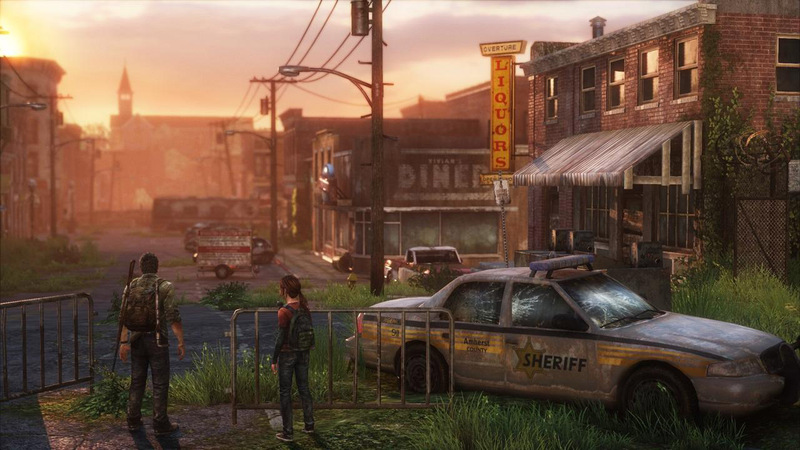 The medium will get past these growing pains, someday, and games like The Last of Us will help get us there. Playing through last year's masterpiece with this year's embellishments doesn't really add much to the experience, but it's another small step toward something better, built on a somewhat flawed but fundamentally excellent foundation. The Last of Us may be generic, but with its lovely exterior and premium contents, it's a far cry from those bland cans of beans that taught me the word. The audio design of The Last of Us works best when it's aiding your situational awareness, from the alarming staccato cries of Clickers to bandits cluing you in to their group tactics. Frequently clumsy, especially in the heat of combat. Presumably this was meant as some sort of callback to the bad old days of survival horror. Between its considerable length, multiple difficulty settings, a multiplayer mode, and the built-in extra DLC story, there's a lot of game here. However, there's not <em>that</em> much to do here that wasn't already available on PS3, so newcomers to the game will definitely get more from this remake.